Confused by the title? Most people probably are, and that’s the point. We constantly hear that “digital is perfect” and “there cannot be differences between transports” etc. We heard this from engineers, computer scientists and armchair experts. All three are wrong, but the engineers really ought to know better. Let’s start with some basics. Most musical instruments from the human voice to a guitar or piano, are analog. Our ears are analog. And the sound waves between the two must be analog. God did it. Don;t argue with God. Digital is a storage method. It can only occur in the middle of this chain, with sound converted to digital and then back. The goal is 100% transparency – or, more accurately, transparency so good we cannot tell the difference. While that sounds like a cop out, its not. Analog records are also intended to be 100% transparent and fail miserably. CD, DSD, or whatever need only fail less to be an improvement. My opinion is that done right, it DOES fail less and is potentially superb. Its that word “potentially” that trips us up. It has a huge impact on sound quality in real life systems today. No one talked about it until recently, and very few understand what it is or why it’s a problem. To understand jitter, first we need to understand CD playback. I will use the CD example simply because I have to pick one and it is the most common High end format. CD music is digitized by measuring the music signal at very tiny increments. An analogy would be Pixels on your screen, and they use a lot of “pixels” — 44,100 samples every second. The height, or “voltage” of each sample is represented by a number we debate endlessly: the bit depth. CDs use 16 bits which means 64,000 shades of gray. Illustration of the height and spacing of music samples; courtesy: Wikimedia.org. But there is another characteristic that is equally important to sound quality in fact, mathematically it is part of the same calculation, and nobody talks about it. That characteristic is the time between samples. Think about height and time like a staircase; each step has a height and tread depth — the two together determine the steepness. Similarly the analog output of “pulse code modulation” (which CD is) is determined by the height (limited by 2^16 or 64000 levels) and the time between samples. That time is assumed to be precisely 1/44,100 second. But we live in an imperfect world and that fraction of a second varies some, in the variation, which is random, is call Jitter. Because it is random, it is not harmonically related to the music; and therefore in musical terms dissonant (or lousy sounding). So while bits are in fact bits, there is much more on the interface between the transport and a DAC, than bits. There is also jitter and noise, and noise causes jitter. So well the engineers telling you that transports we’re streaming servers, where the digital signal cannot impact sound quality failed to read Shannon’s (and Nyquist’s) work. It’s that simple guys. 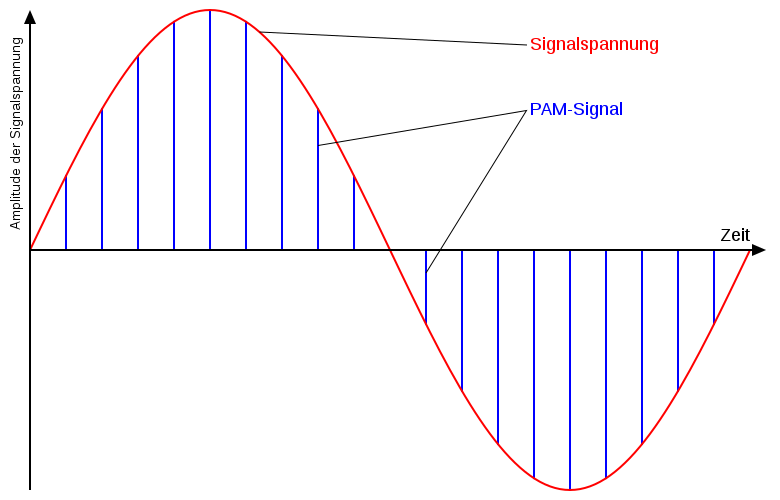 There are two ways to send a digital signal between a source and a DAC. The traditional method is by an interface called SPDIF. It’s the little yellow RCA jack on the back of your CD transport. The problem with SPDIF is that a) it is Synchronous and b) the source is the master clock, and therefore determines jitter. So when you do something logical like buy a fancy DAC to make your cheap CD player sounds better, you get the jitter of the cheap CD player and as we noted above that’s half the story. There are more problems- primarily related to electrical noise but I think they are less severe than jitter and certainly are another topic. I hope this has shown you that sound differences from transports and digital signals are neither snake oil nor mysterious, only annoying. I will make only one recommendation: make sure that SPDIF connection is a true 75 ohm cable. It need not be a fancy audiophile cable. It can be amazon basics. It can be cheap Schiit (I think they call them that). But it must be 75Ω. Now if we could only fix crummy digital mastering, but that’s out of our control. I’m getting whiplash from polarized — and shallow — opinions in the high end world. In digital music specifically, I’m bothered by the hardened, and often fact-free opinions of both audiophiles and engineers, the latter who ought to know better. I’ll turn up the contrast. At one extreme are many who believe digital is fatally flawed, always has been, and cannot be cured. At the other end we have engineers who say “all is well, and if the bits are right, its perfect”. This is factually (technically) incorrect. I’ll touch on only one small aspect of why here. I don’t want to boil the ocean. I only want to address the question of whether Redbook CD format is good enough for even highly discriminating music lovers and revealing systems, and if so, whether high res files and recordings can simultaneously sound better. 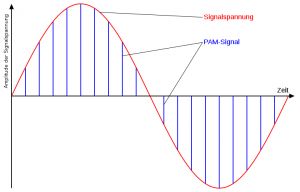 I’ll touch other topics in future posts: (digital interface signals and their contribution to audio quality, why SPDIF and DSD among others are part analog) and other related topics. My personal opinion is that, done perfectly (not in this world) RedBook — or 16bit, 44.1 k-sample, linear PCM encoding, is theoretically equal to and likely superior to any analog we are likely to experience – $5-10k turntables and all. The problem is, Redbook digital is rarely (ok, never) done perfectly. The “flaw” in the Redbook standard, again in my opinion, is that the sampling frequency chosen — for practical/cost reasons, makes it very hard for both studios and consumer playback equipment to perform ideal A–> and D–> A. These are analog processes folks. The biggest problem in the standard itself is the 44,000-sample (don’t confuse this with 44 kHz analog signals) rate. This sampling rate was chosen to be more than 2X the highest audible frequency of about 20,000 Hz. Per Shannon’s math and Nyquist’s specific theorem, one must sample at **more than** 2X a frequency in order to faithfully reproduce a smooth, distortion-free “X Hz” tone – and all frequencies below it. Really, it can be perfect – but there’s a catch. If you have ANY — **ANY** — signals above 20 kHz that get into the recording path they can alias and play havoc with the recording, interfering down into the audio band. Plus, these sorts of non-musically related distortions are particularly annoying, leading in part to “digital glare”. That’s one of the measurement flaws. All distortions are not created equal, sonically. Yep there’s good distortion and bad distortion, or at least bad and worse. This is understood well in music theory. A Boesendorfer or Steinway concert grand Piano is valued for its consonant harmonic distortions. So are (some) tubes. So distortion can be pleasant, or at least not unpleasant. Digital aliasing is not in that group – its just nasty. As is “slewing” distortion – and any odd-order, high-order harmonics. Back to the sampling frequency – to rid ourselves of aliasing nastiness, we must filter out 100% of that ultra-sonic stuff — the stuff above our cut-off frequency of 20kHz. Ok, but i said it could be done. It can. In theory. The problem is, to get rid of everything above 20,000 Hz the standard only leaves us 4,000 Hz for filters. And good sounding, phase coherent filters typically work by roughly halving the sound every OCTAVE, not every 1/10 of an octave, which is what the standard leaves us, almost exactly. Bottom line #1: the filters used can be nasty. Bottom line #2: they are not 100% perfect so we typically get at least some aliasing. Maybe not much, but some. Note this is only ONE problem in the standard. But rejoice, there are real workable, solutions and they don’t begin with throwing away CD (16/44k redbook). And this, in my worthless opinion, is why high res files (24/96 etc) sound better. They had WAY more headroom to work with for the filtering in the studio, and our home CD players have more space too. Furthermore, with 24 bits, engineers can miss their levels by a few dB and it all works out. And they can edit and make digital copies and still have perfection in the 16 or 18 most significant bits – which is still way better, on paper, than your mondo turntable – or mine (one of my collection is a Logic DM101 with a Syrinx arm and a Grado Reference, The other a Linn triple-play, if you care). 1. Encourage studios to do the best job possible. Think they do? Listen to most rock, then listen to an old Verve two-track recording. ’nuff said. 2. Buy home equipment that gets the signal processing right. That’s another blog, but by this i mean low noise, low jitter, fast filter and buffer amps, and great power suppliers. Just like I built. Trust me, it works. I hope you found this useful. When i have time to organize a complex subject I’ll tackle why the digital player and interface can make a difference. After all buts are bits. Its true… but that signal isn’t (just) bits. Intrigued? Please see my blogs on Appledoreresearch.com! ARG is becoming THE acknowledged experts at managing virtualized and hybrid telecom networks and services. My technology, music, audio and driving related rants will remain here! The role of policy is about to expand rapidly, projecting a little-understood area, mostly associated with the operation of real-time routers, into the domain of management. It’s a great boon, but will demand re-thinking both what we think policy is, and what we think “OSS and BSS” are. Success will demand a well-defined plan, executed in a series of clearly defined steps. Policy has been with us since the relatively early days of the Internet, when the IETF defined “Policy Decision Points” and “Policy Execution Points” – or PDPs and PEPs. Used only in very specific instances, policy has been limited to AAA/edge routers, and in 3G and 4G mobile networks “flow based charging”, where 3GPP defined the derivative “PCRF” and PCEF” to manage flow based charging. Who is the user, and what priority does that user have? What is the product/service, or plan, and what parameters are demanded, possibly by SLA? What is the network condition? Is it congested? Empty? What are the technical and economic feasibility limits we must work within? 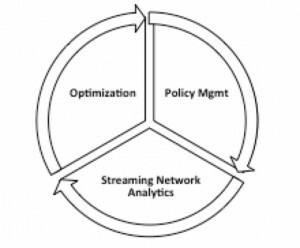 Policy is already being defined to control many attributes in SDN and NFV – scale, reliability, bandwidth, security, and location (geographic or datacenter) among others. Elements of a policy model are being talked about in various industry groups, from ETSI/MANO to the TMForum (Den-ng, ZOOM). But this is the dry “how?”; let’s discuss the exciting “what?”. 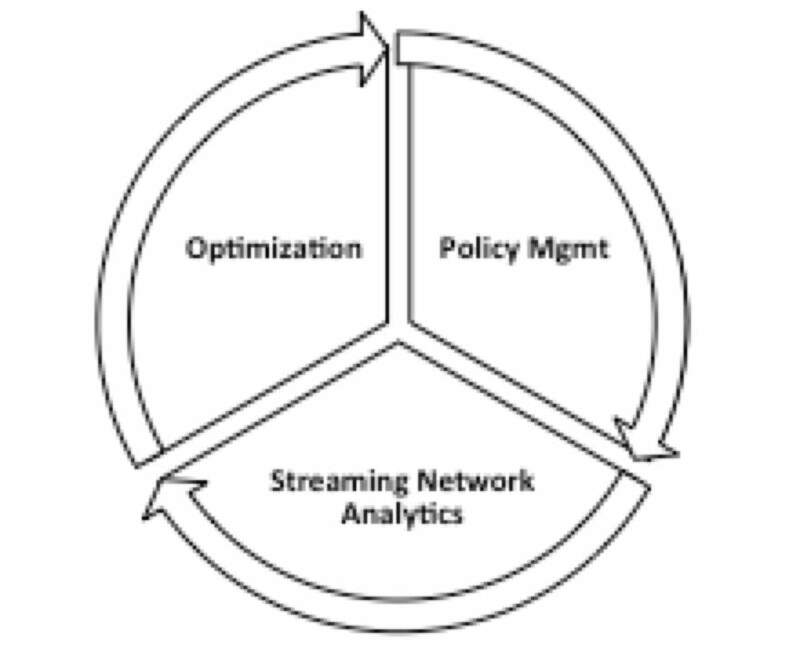 The real excitement begins when we understand that policy, combined with analytics and real-time (MANO-style) orchestration, can implement real-time, all-the-time, optimization of networks. While scary, these sorts of feedback loops have long been used in military and commercial guidance systems, in machine control, and in myriad other control systems. In fact, the basic ideas are called, in academia, “control theory”. Imagine a data-center that approaches congestion, and through analytics driving new policy rules, automatically moves demand to a lightly used datacenter – improving performance and averting capital spend; quite the happy outcome. Or, consider analytics that correlate a set of security breaches with specific parameters, and closes the loophole, changing the policies that define those parameters. SDN, SON, NFV, and “3rd Network” based MEF services can all benefit from such dynamic and far-reaching policy. Discussing each is beyond the scope of this Blog, but I’d like to set the stage for future dives into several elements of policy. In preparation, let’s consider that control-theory flow, from information collection (analytics), to determining the corrective action (optimization) to issuing the revisions (policy control and possibly orchestration). This simple, yet complex concept can fundamentally change the economics, flexibility and operation of networks. In my opinion, it is essential to derive the greatest benefit from virtualized networks. Before we begin a new hype cycle though, consider the challenges and risks. This level of automation will be difficult to deploy and tune. Policy conflicts must be managed, and autonomous systems must be tested, and trusted (“I wouldn’t do that, Dave”), and instability must be controlled (all control systems can oscillate). Success will likely come from a set of incremental steps, each of which adds – and tests – a layer of automation, and will therefore take years to complete. But those that benefit greatly will be those who build, brick by brick, to well understood goal or vision. Stay tuned for future installations touching on specific areas of policy in tomorrow’s network. Here’s a link to a short, to the point explanation of how several major industry players, sponsored by at&t, and under the auspices of the TMForum are looking at how policy, virtualization, analytics and “orchestration” combine to usher in a new world of dynamic optimization. In the not-too-distant future we may have networks smart enough to heal themselves, scale themselves, and optimize costs and resource utilization. Of course, the devil is in the details, and policy is still poorly understood int he world of management (OSS, BSS, etc.) software. While the functions denoted by ‘FCAPS’ remain as important as ever, the methods are changing rapidly. or maybe i should say, “must change rapidly if we want to succeed”. Enjoy, and many thanks to RCR and the TMForum for making this possible.